Sture Fjäder, the chair of Akava (the Confederation of Unions for Professional and Managerial Staff in Finland), apologised on Thursday for suggesting that Finnish employers should consider paying unskilled immigrants less salary and providing them fewer employment benefits than other workers. The white-collar union chair's statements received a considerable amount of criticism and pushback from members of various labour unions and others on Twitter. Fjäder's apology stems from an Yle interview he granted on Wednesday in which he echoed statements made by Finnish Nobel-prize winning economist Bengt Holmström in a separate Yle interview the same day. Holmström - a co-recipient of Sveriges Riksbank Prize in Economic Sciences in Memory of Alfred Nobel in 2016 - suggested Finland could implement policies which he said would encourage immigrants to get jobs instead of relying on the country's social support system. Holmström said Finland could permit employers to hire unskilled immigrants under worse conditions than collective bargaining agreements provide - including lower salaries and diminished social support benefits. "It suits them [immigrants]. This way they can climb the career ladder without annoying Finns," he told Yle. Holmström currently works as a professor of economics at Massachusetts Institute of Technology in the United States and in 2016 received the Nobel prize along with economist Oliver Hart "for their contributions to contract theory." On Thursday Fjäder apologised for - and backed away from - statements he made the previous day. "I apologise for my comments and am sorry that it raised the notion that I support a two-tier job market system. We do not wish for Finland to follow that sort of model, but rather one in which all workers are treated equally," Fjäder said in a statement issued Thursday. Fjäder said that in the first interview, he was trying to point out that the integration of immigrants is faster when they are employed, saying that promoting equality and equality in the labor market is a core value of the confederation. He also said that in order for Finland to preserve its welfare state, it needs to improve employment numbers, saying that Akava endorses bringing in more foreign workers to reach that goal. "We must eliminate barriers to employment. Education is the most important means of promoting immigrants' access to jobs," he said. 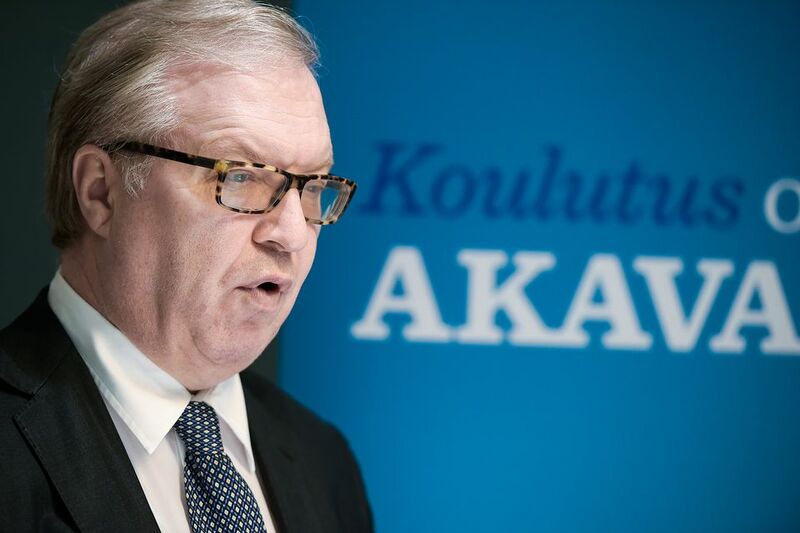 During his interview on Wednesday, Holmström also suggested that Finland's recent industrial actions and labour strikes demonstrate that Finns don't understand the changes that need to be made in job markets. He said in order to preserve its social welfare system the country should make its employment market more flexible. Holmström said Finland is a "strange" country due to non-governmental unions having so much influence they amount to posessing policy-making powers. He said union demands that Finland's worker benefits system remains as it has in the past "is a major threat to the welfare state."